About the Client - Citrix is a leader in virtualization, networking and cloud infrastructure. 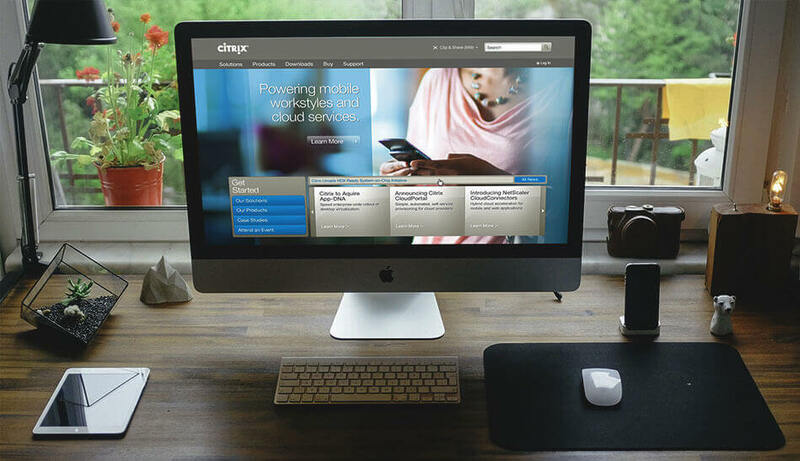 Citrix enables enterprises build, manage and secure virtual and mobile workspaces seamlessly. They wanted to redesign their existing website to enhance look and feel, improve navigation and provide a better user experiences. Our UX designer and HTML5 experts reviewed and understood the PSDs and documents received from the client. Our UX designer analyzed the functionalities and information architecture of the new website including HTML format and CSS features. We had several round of discussions with the client and scheduled weekly meetings to understand the objectives, finalize the requirements, and set delivery approach. Design Development and HTML Prototyping: During the analysis phase, our UX designer discovered that some features needed to be restructured to match the desired functionalities. We started with deep understanding of the design flow required to develop PSDs to HTML component. We developed xHTML/CSS based HTML components. We developed Jquery based custom plug-in for managing their Accordion Bars, Light Box, Tabs, Social Utility Bar and Calendar. We followed UX Specifications very closely during HTML component development. Delivery Approach - We used the batch delivery approach so that development components were adopted in a phased manner. Acknowledgement - Our UI experts came up with some recommendations for better navigation. The client acknowledged those recommendations and implemented it in the website.